I don’t like to see the healthiness of a child’s meal get trumped by art. Don’t get me wrong, there are some beautiful creations that I would personally love to see when I open up my lunch bag. I just think that these creative and awesome lunches should be well-balanced. 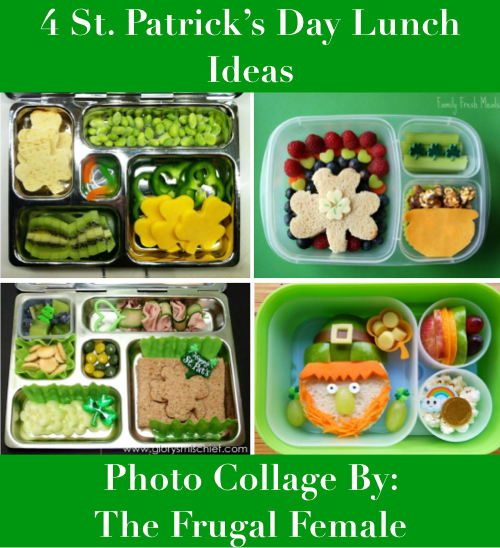 Here are some great examples of St. Patrick’s Day-themed lunches that contain most of the important food groups.